Racer is smart, easy to train, food motivated. Gets along fine with dogs, no small animals due to his energy levels or small kids. He will resource guard toys/food and currently will only be available to an experienced home. He would 100% thrive in an active home- someone who runs would be his dream. He would love hiking too! He is crate and leash trained. House trained too! Lean build, medium sized but tall. Approx 60lbs. We were told lab mix, but we think either dobie, aussie, collie, or similar type in there. Would thrive with a job. They are fixed, vaccinated, and adoption includes being microchipped, current on flea/tick prevention meds and has been dewormed. They come with a collar, 2 free vet exams, a bag of grain free dog food, and a private training session with certified trainer, and more! adoption fee: $50. We accept Cash and Debit/Credit Cards. There is a 2.5% fee if using a card at the time of adoption. 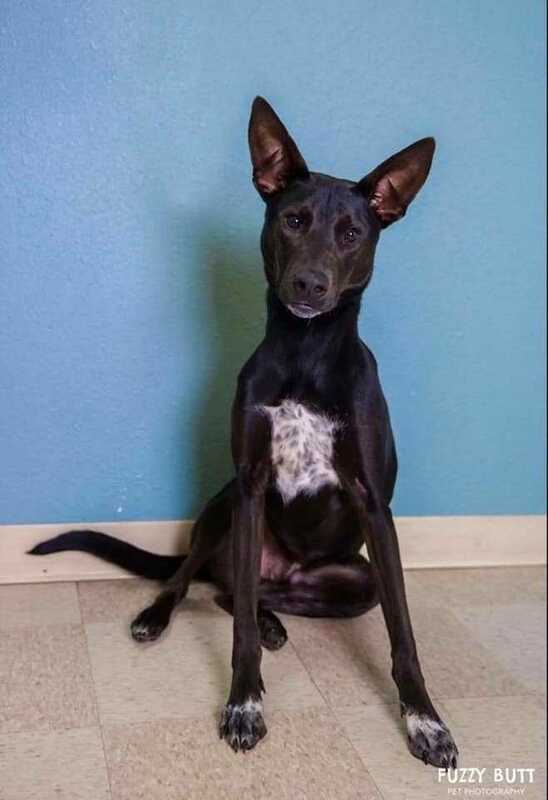 If interested in meeting this dog, please email: adopt@luckypawssite.org to request an application or come down to our public adoption event this Saturday 3/23 12:30-4pm at Petsmart in Eugene (2847 Chad drive) in the back of the store.